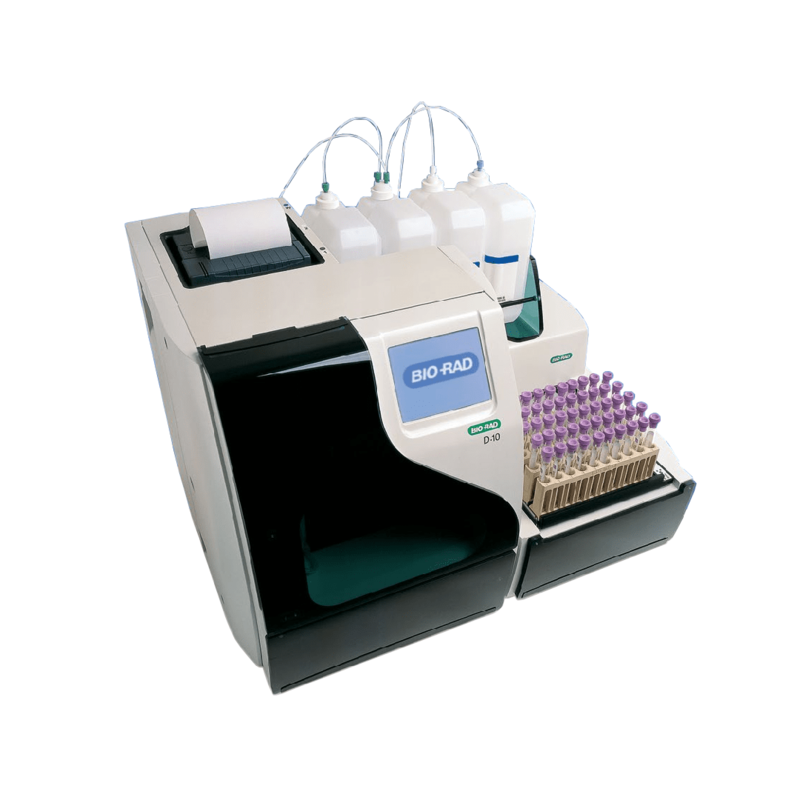 -	Full Automated:Primary tube sampling eliminates off-line sample preparation and streamlines your operational efficiency. -	Flexible: Diabetes and β-thalassemia testing on a single platform without changing cartridge or reagents provides flexibility with no hidden costs to the user. -	Powerful: Simultaneous quantitative HbA2, HbF and HbA1c results adds to convenience and saves money. Complete β-thalassemia program including A1c results. Kit Reorder Pack reagent with 400 Tests for HbA1c. Kit Dual Reorder Pack with 200 Test for HbA1c/A2/F or 400 Test for HbA1c.